One Gear to a Better You! Home / Cycling / One Gear to a Better You! Some people think that only crazy people or people who do not understand bike mechanics would ride a single speed mountain bike, but these are bikes are for EVERYONE. Shedding excess equipment offers a unique, simple, and challenging ride. 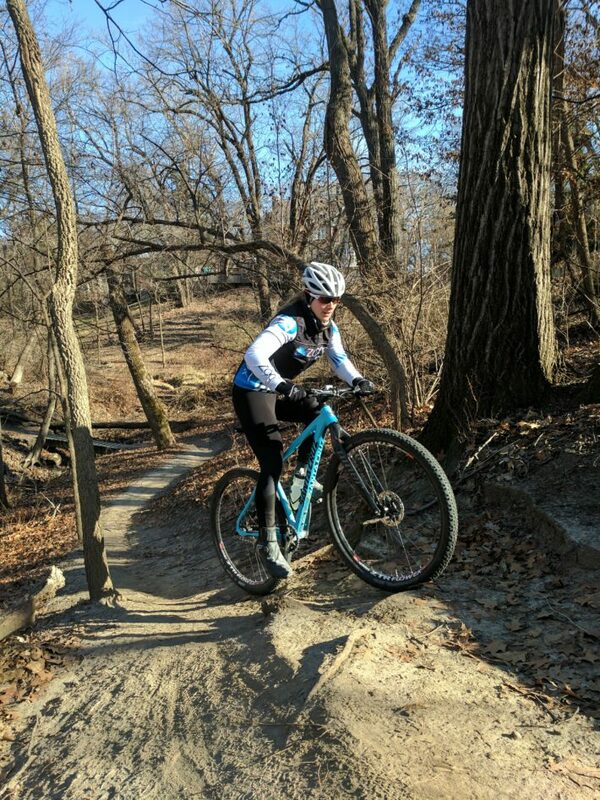 Riding a single speed will make you a better mountain biker while simultaneously increasing the “fun factor.” There are many benefits to choosing a bike with one gear, so keep these in mind as you are making your New Year plans (which of course must involve the purchase of a new toy!). Skill Building: One of the first skills you will learn is the art of momentum. If (and when) you bog down on a hill or obstacle, you will have 2 options: put out more power to get through it or get off your bike and walk. No one likes to put out unnecessary effort or have the humiliation of walking so you’ll learn to ride in a way that prevents these type of situations. You will choose better lines, build and carry speed whenever possible, and brake less. Power/Fitness Building: Riding a geared bike, especially mountain bikes with very low gears, can sometimes make you lazy. You have the option to stay seated and spin up challenging climbs, but on a single speed there is no lazy option! Single speeds will oftentimes require you to stand up and grind out high power, low cadence revolutions. You will need to use your back, shoulders, and core muscles to pull the handlebars and keep the bike moving. It truly is a full body workout! Less Expensive: Fewer parts means less money! No derailleur, no cables/housing, no shifters, and just one cog. Lower Maintenance: Because there are fewer parts, there is not as much to maintain. If you go full rigid (no suspension), the upkeep is even less. Spend less time in the shop and more time on the dirt! The simplicity of these bikes also makes them incredibly crash resistant and perfect for winter riding when there is snow and ice. Mental Health: Without having to think about changing gears, you can really just focus on the task at hand. Feel the dirt underneath your tires, listen to ­­your breathing, relish in the sunshine warming your neck, and just enjoy nature. Just you and your bike! Pedal Stroke Efficiency: Single speeds require you to pedal in a wide range of cadences. Focusing on a smooth pedal stroke with limited unnecessary movement will lead to a more efficient pedal stroke, no matter what bike you are riding. Looks: Let’s be honest, single speeds are just pretty! Not to mention, people will think you are super tough (or crazy!) for riding one. If you enjoy riding on the dirt and are looking for a way to mix it up this season, consider a single speed. Even if you never race that bike, it is one of the most effective training tools you can own. Once you get over some of the initial frustrating new challenges, you will not be disappointed!